The second highest number of UFO sightings were reported to the Mutual UFO Network (MUFON) in 2013; a total of 6,448 reports. MUFON employs trained field investigators with backgrounds in science and law enforcement that interview witnesses to “identify” UFOs. 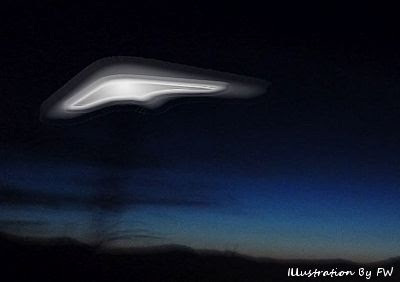 Although most of the reports are identified as known celestial objects, aircraft, meteors, etc., there are always a small percentage of the cases that remain as true “UFOs.” These latter cases are carefully reviewed by a science board. MUFON’s Science Review Board (SRB) consists of scientists with degrees in physics, chemistry, geology and electrical engineering. Their work experience includes NASA, Lockheed Martin, Northrop Grumman, Advanced Mico Devices, Lawrence Livermore National Laboratory, and France’s national space program, CNES. The SRB has reviewed the best cases from the year 2013 and have identified the strongest cases that cannot be identified as any known object. I’m a disabled Vet with over 30 years experience on military aircraft. I have worked everything from old Huey’s to T38C Apache Long Bows and Black Hawks. My friend (name removed) has a few more years experience but much the same background. He was Air Force and I was Army with some time in military intelligence. We both have clearances. I know aircraft when I see them, been in enough in night under combat. However, I have no idea what this [boomerang-shaped craft] was. . . .
MUFON: Naples UFO Video – CASE SOLVED!